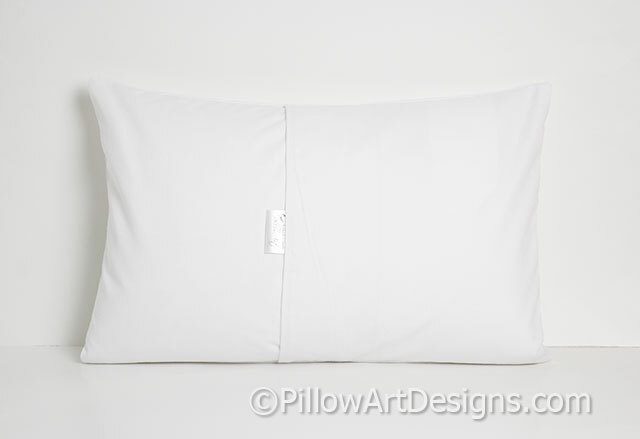 White lumbar pillow measures 12 X 18 inches, includes down feather insert. 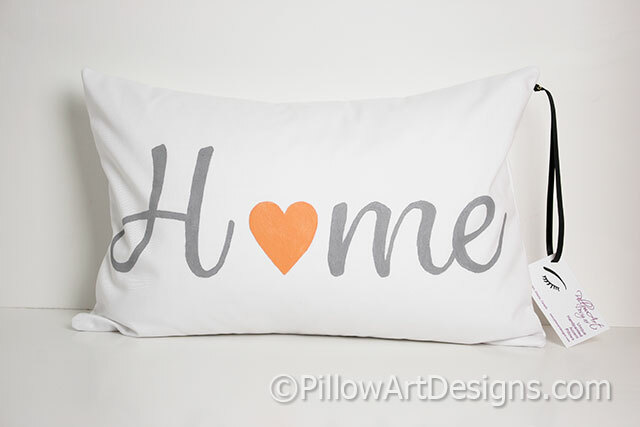 Front of pillow features hand painted word 'Home' in grey non toxic fabric paint with painted heart (select heart colour at checkout). 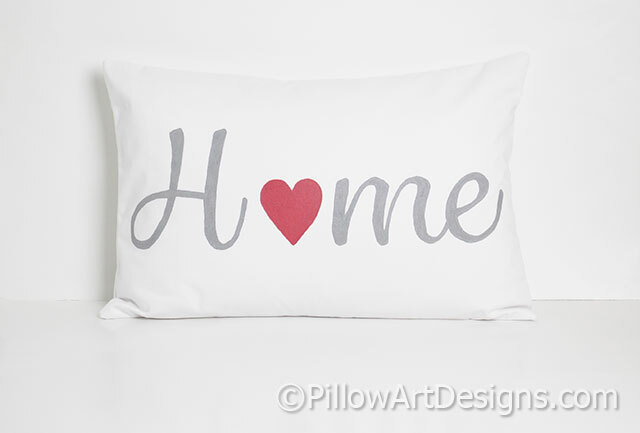 Outer fabric is white cotton twill, cover is fully lined with white cotton polyester.